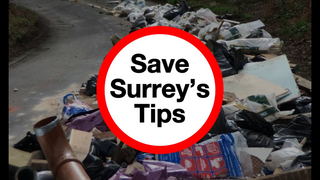 "We the undersigned call upon Surrey County Council to reverse its decision to close Community Recycling Centres (CRCs) at Bagshot, Cranleigh, Dorking and Warlingham, and oppose its plans to significantly reduce the opening hours of all other CRCs across the county by two days per week, and introduce further charges for the disposal of waste. "We believe that the closure of these amenities and reduced opening hours of others could lead to an increase in fly-tipping leading to further costs for boroughs, districts and landowners as well as the blight to the environment. "We call upon the County Council to ensure that all sites remain open, with no reduction in opening hours or increase in charges".